After finishing high school and taking a gap year, Philip Qurbanpur decided it was time to kick his career into gear. In 2017, his mate, Jehan, completed a job-readiness program and consequently scored an automotive apprenticeship through WPC Group. As Philip was also passionate about the automotive industry, he decided to drive down the same road as Jehan. To prepare for an apprenticeship, 20-year-old Philip participated in the Career Edge job-readiness program in June 2018. As part of the program, Philip did a week of work experience at WPC Group Employer Partner Moorooka Nissan. Philip says he knew on the first day that he wanted to work there. And the team at Nissan felt the same. “The manager thought I was really well presented and was impressed by me, so on the second day of my work experience he said ’you’re ready – welcome to the team’ – that felt really good,” Philip said. Philip has been working at Nissan as a Light Vehicle Mechanical Apprentice ever since. He works alongside Jehan, who is doing the same apprenticeship through WPC Group. Philip’s role allows him to learn on-the-job, while getting paid for doing what he loves. “I have owned a couple of cars and have always enjoyed working on them. And now I am working here at Nissan, I know this is exactly what I want to be doing for my career,” Philip says. 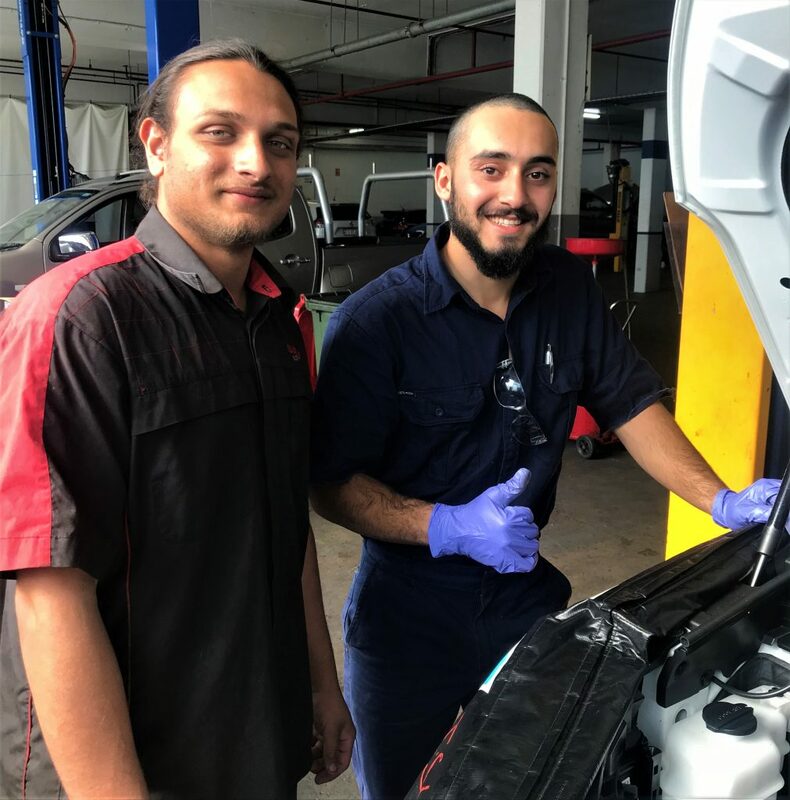 Once he finishes his apprenticeship, Philip hopes to stay at Moorooka Nissan and work his way up to one day be a foreman. Jehan has almost completed one year of his apprenticeship. He too has always been interested in the automotive industry. “Working on cars is my passion. I service a variety of cars at work, and then go home and work on my own car,” he says. Philip and Jehan enjoy working together at Nissan. After completing his apprenticeship, Jehan plans to upskill through doing an auto-electrician certificate. Once he holds this qualification he will be able to work on hybrid and electric cars at Nissan. Click here to learn more about NISSMAP – the Nissan Mentored Apprenticeship Program.